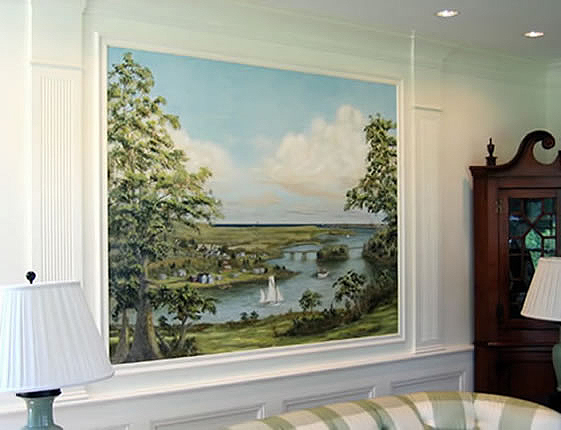 This mural was painted on canvas and mounted on a paneled Living Room wall. The house sits on the Merrimack River along historic Point Shore in Amesbury, Massachusetts. The mural depicts where the Merrimack River opens to the Atlantic Ocean in nearby Newburyport at the turn-of-the-century. This mural was featured in Accent magazine’s November/December 2005 issue.